I mentioned in yesterday’s workout recap post that I was really sick Thursday night so I have spent the weekend trying to feel better. There’s never a good time to be sick but at least it happened now instead of in two weeks for my son’s Bar Mitzvah! Um, can we believe that the Bar Mitzvah is really so soon? Yeah. I know. And, if I start to think about it too much, I become a deer in headlights which I can’t have right now because I still have a lot of coordinating left to do. I was supposed to meet with the caterer on Friday as a finalizing details appointment but obviously I had to cancel. I also had to cancel my dress fitting but what can you do? It will all get done and everything will work out fine. At least that’s what I keep telling myself. On Thursday, before I realized how sick I was about to be, I went food shopping at our newly renovated Trader Joe’s. They took over another store so now my main Trader Joe’s location is huge! I don’t know if you can tell how huge it is but I took a picture anyway because it was fascinating for me to see how big this location is now (for local readers, this is the Plainview store). I just have to work on learning where everything is, they changed up the locations of where they keep which foods. Unfortunately I bought a butternut squash at Trader Joe’s and roasted it for dinner Thursday night. Anything I eat right before being sick becomes off limits for me, sometimes for life. So add butternut squash to my forbidden list, maybe brussels sprouts and peanut butter at the moment too. I hope to come back to peanut butter soon but as of today, it’s still no. I want to say I have been a terribly boring eater since Thursday but that’s not really true. 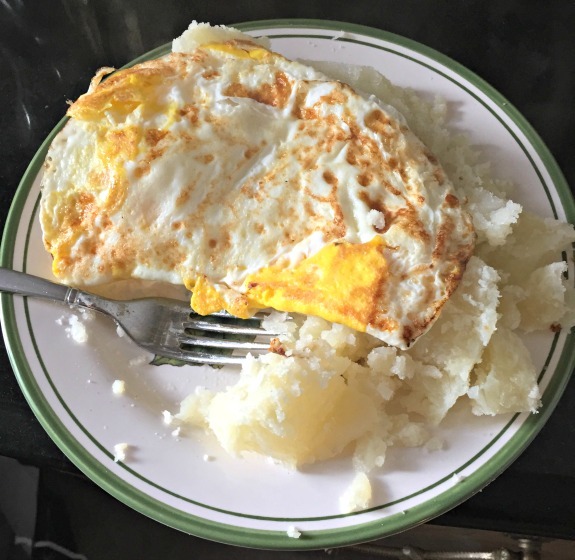 My sick food favorites are actually really yummy! 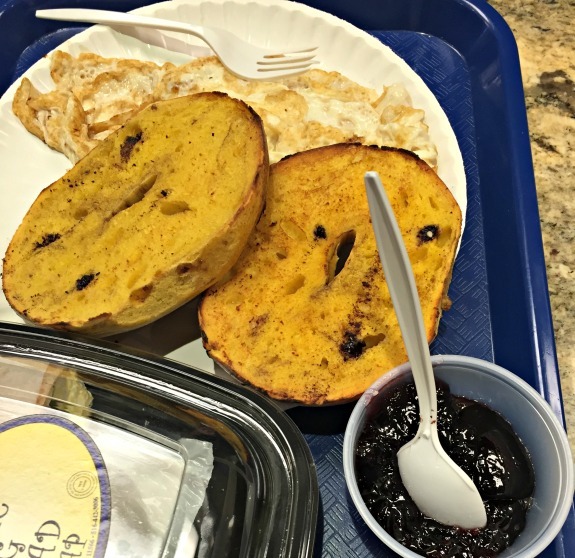 My dad brought me bagels from Stew Leonard’s on Friday so I have been eating French toast bagels with jelly (no picture but it looks like this one) and plates of eggs with plain mashed potatoes. I always crave a nice bakery cookie as I start to feel better from viruses like this one. The Islanders are back in action by the way, training camp started this weekend! You know how I love hockey season. 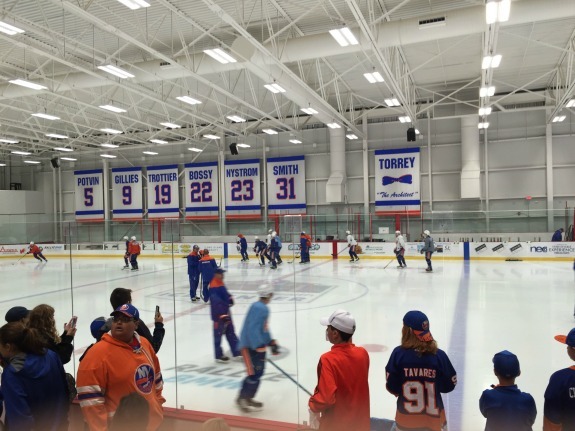 After my son’s own hockey practice Saturday morning, we headed over to Islanders training camp for a bit. Sunday morning I watched several episodes of Say Yes to the Dress. Does anyone else love that show? I have always loved wedding dresses even before working in the industry. Did I mention I am going to Bridal Fashion week next week? Gosh I love my job. We went to Bagel Boss for lunch yesterday. I had the French toast bagel there too but I didn’t love it as much as the Stew Leonard’s French toast bagel. This surprised me actually since Bagel Boss really does have terrific bagels. Oh, and I am not a political person but I think it’s pretty cool that tonight’s debate is not only local but at Hofstra University, where I went to college! My son and I took a ride over to Hofstra yesterday afternoon just to see what we could see. We saw lots of police, security, barricades and some people who must be interested in politics on an insane level based upon their costumes and what they were shouting about. It was pretty funny actually but my son asked me not to share the pictures of the weird guy with the big Trump head because he was convinced the man would find my blog and come after us for making a bit of fun. Just to put Hofstra on the map for you, it’s located right by the Long Island Half Marathon start line. The first mile of the race runs by some of the dorms. It’s also next to the Nassau Coliseum where the Islanders used to play, few miles south of Roosevelt Field Mall and not far from the city. I definitely feel well enough for an easy run today and I am hopeful to jump back into the speed workout listed in the training plan tomorrow. I have the slightest hint of a cold but I don’t think it should affect me. Besides, with the amount of carbs I have been eating, my body should run real happy for days! Do you have a favorite type of bakery cookie? Or a favorite kind of bagel? 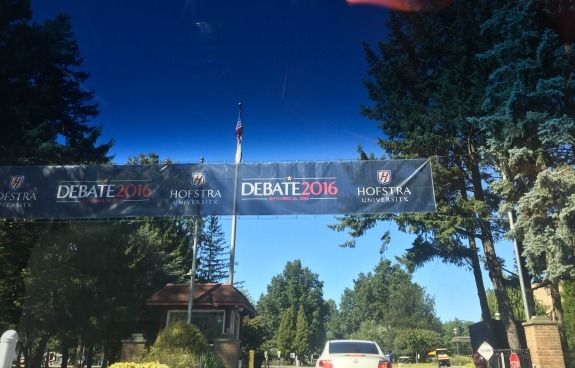 It’s pretty exciting that the debate is at Hofstra! Your trader Joes looks huge. I feel like the one here is so cramped and when its crowded its like impossible to move around, especially with a cart. Glad you are feeling better and I hope your run goes well! 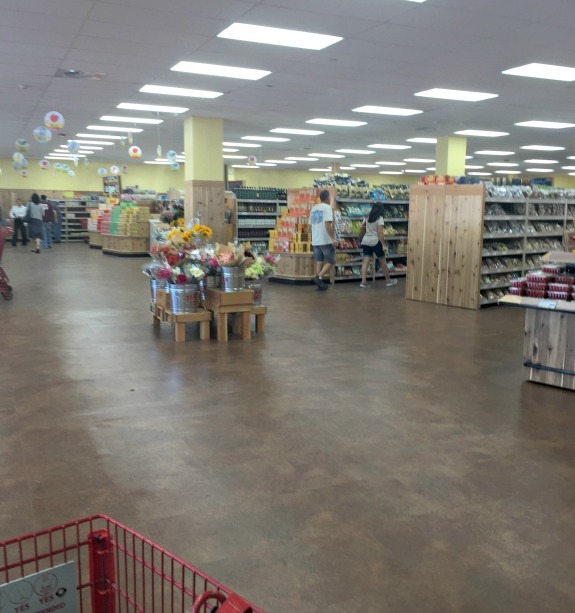 yeah this trader joe’s was fairly cramped too so now it’s so nice and big! I think it’s so funny that the debate is at Hofstra lol. I think we have a skewed view of the school since it’s local! When I drove around yesterday though it really looks so nice, I didn’t realize it as a kid, you know? Hmm… So I didn’t technically go to college, but I did do a biblical counseling course for about 2 years. Now I’m kind of picking up schooling from various courses and different people about blogging. It’s kind of fun learning after you graduate from highschool. I went to Valparaiso University for undergrad and University of Dayton for grad school. That’s cool how the debate is at your college! My favorite type of bagel is whole grain or blueberry. I haven’t had a bagel in so long and now I want one! I tried so hard to send you bagels! I am still working on it lol. we must get you at least a few! Adam and I were just thinking last night how strange it is that the first debate is right over at Hofstra. Glad you’re feeling better and SO true that it’s better now than before the bar mitzvah! It’s almost relieving because you’ll never get sick like that twice in a period of a month. Can’t believe the date is almost here! I went to school at Towson University in Maryland. The best thing I ate this weekend was the Ben and Jerry’s vegan non dairy peanut butter cookie ice cream! (you must try) and I am not much of a baked goods fan, but a big dry chocolate chip scone and a hot cup of coffee is my go to! i tried that flavor over the summer at the ben and jerry’s store! I remember towson had a nice application back when I was applying. one of my best friends from high school went to towson and loved it. Awe, I’m glad you’re feeling better. Being sick is no fun. That cookie looks amazing and I can’t even remember the last time I had a bagel, especially a really good one! We don’t have any places around here that make bagels like that. I need to start hunting for one! Omg that cookie is huge! *insert heart-eyed emoji here* It’s been a while since I’ve had a bakery cooke (mostly because of allergies), but I remember I’d always get the shortbread with chocolate on it. So good. And I’m not really into politics, but I’ve gotta say that this election has been an interesting one… and I’m not even American! I can’t believe the Bar Mitzvah is only two weeks away. The summer went so fast, although I promise it will all get done in time and you’ll have a bittersweet blast. I’m glad you’re feeling better. Bagels, mashed potatoes and cookies definitely help, although I hope you can eat your beloved peanut butter again soon. That could be potentially devastating. I had out PB and chocolate snack last night, minus the PB. Hee, hee. i know, i cann’t beleive it’s in less than 3 weeks now! it’s crazy to me. okay so that sounds like the best type of chocolate dessert! for sure. I hope you feel better soon. I definitely crave all the carbs when I’m sick. I love everything bagels and any cookies with chocolate chips and/or M&M’s. I actually made my favorite chocolate chip cookies last night and enjoyed a few with a bowl of ice cream as a weekend treat, YUM! 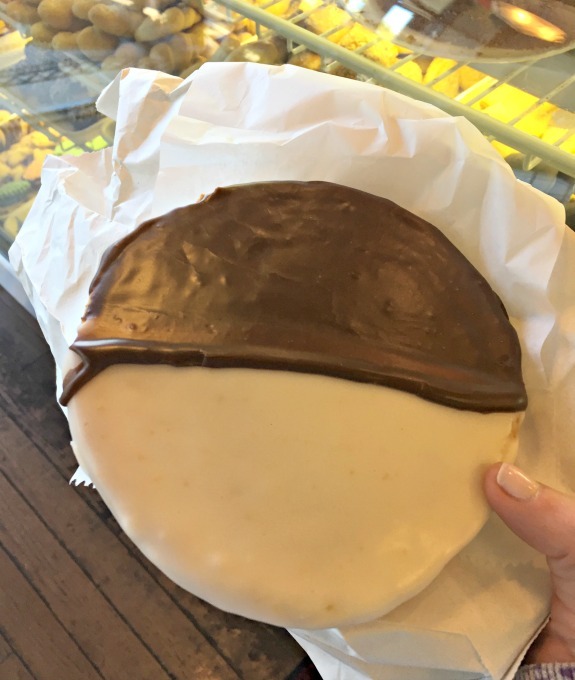 Love those black and white cookies! Went to school at Arizona State University!